For other people named John Cullum, see John Cullum (disambiguation). For 1930s child actor, see John Collum. John Cullum (born March 2, 1930) is an American actor and singer. He has appeared in many stage musicals and dramas, including Shenandoah (1975) and On the Twentieth Century (1978), winning the Tony Award for Best Leading Actor in a Musical for each. He earned his first Tony nomination as lead actor in a musical in 1966 for On a Clear Day You Can See Forever in which he introduced the title song, and more recently received Tony nominations for Urinetown The Musical (2002) (best actor in a musical) and as best featured actor in a musical for the revival of 110 in the Shade (2007). He portrayed tavern owner Holling Vincoeur on the television drama series Northern Exposure, earning an Emmy Award nomination as Best Supporting Actor in a Drama. He was featured in fifteen episodes of the NBC television series ER as Mark Greene's father. He was the farmer in the landmark television drama The Day After. He has made multiple guest appearances on Law & Order and Law & Order: Special Victims Unit as attorney, now judge, Barry Moredock, and appeared as Big Mike in several episodes of The Middle. As of December 2017, he is appearing as Senator Beau Carpenter on the CBS series, Madam Secretary. Cullum was born in Knoxville, Tennessee, the son of a banker. He attended Knoxville High School and the University of Tennessee. He played on the university's Southeastern Conference championship tennis team and was a member of Phi Gamma Delta. He starred in "Chucky Jack", an outdoor drama about Tennessee Governor John Sevier, at the old Hunter Hills Theater in Gatlinburg. Cullum has been married to Emily Frankel since 1959. They have one son, JD Cullum (John David Cullum), who is also an actor. He made his Broadway debut as Sir Dinadan in Alan Jay Lerner's and Frederick Loewe's Camelot in 1960. He also understudied Richard Burton (King Arthur) and Roddy McDowall (Arthur's son Mordred), going on four times when Burton became ill and succeeding McDowall. He would go on to play Laertes opposite Burton's 1964 Broadway performance as Hamlet (and in the film version of the production) and in Burton's final Broadway appearance in Noël Coward's Private Lives in 1983. In 1965, he was called in to replace Louis Jourdan during the Boston tryout of the musical On a Clear Day You Can See Forever. It was his first starring role on Broadway, netting him a Theatre World Award and his first Tony Award nomination. The original cast album received a Grammy Award (presented to lyricist Alan Jay Lerner and composer Burton Lane). He portrayed Edward Rutledge of South Carolina in the Broadway musical 1776, providing a dramatic highlight with his performance of "Molasses to Rum," a tirade against the hypocrisy of some Northerners over the slave trade ("They don't keep slaves, but they are willing to be considerable carriers of slaves to others. They're willing – for the shilling.") Cullum had been the third Rutledge on Broadway, but played the role the longest and repeated it for the 1972 film. He is well known for premiering the role of Charlie Anderson in the musical Shenandoah, which began at Goodspeed Opera House, Connecticut in 1974. Cullum won the Tony, Drama Desk and Outer Critics Circle Awards when the show was produced on Broadway in 1975. He also played the role at Wolf Trap, Virginia, in June 1976, opened the national tour for 3 weeks in Fall 1977 in Chicago, and starred in the limited run Broadway revival in 1989. He followed Shenandoah by playing the maniacal Broadway producer Oscar Jaffee in the 1978 musical On the Twentieth Century, opposite Madeline Kahn and later Judy Kaye, earning his second Tony Award. He received his fourth Tony nomination in 2002 for originating the role of evil moneygrubber corporate president Caldwell B. Cladwell in Urinetown The Musical. He earned his fifth Tony nomination in the 2007 revival of 110 in the Shade, playing H.C. Curry, father to Audra McDonald's Lizzie. Recent Broadway appearances include the title role of William Shakespeare's seldom-performed Cymbeline, at Lincoln Center in 2007 and August: Osage County, by Tracy Letts for the week of September 16, 2008 and then since November 11, 2008. In addition to enjoying a long stage career, he is well known to television audiences for his regular role as Holling Vincoeur on the quirky CBS series Northern Exposure, his extended appearances on the NBC medical drama ER as Mark Greene's father, and on Law & Order: Special Victims Unit as constitutional lawyer and later judge, Barry Moredock. Cullum has also appeared as Lucky Strike executive Lee Garner, Sr. on AMC's Mad Men. He appeared as Leap Day William, the embodiment of the fictional Leap Day national holiday, in the "Leap Day" episode of the sixth season of NBC's 30 Rock. John Cullum most recently appeared on Broadway in The Scottsboro Boys (2010), a musical by Kander and Ebb about a notorious miscarriage of justice in the American South in the 1930s. The Scottsboro Boys was directed by Susan Stroman. John Cullum was inducted into the Theatre Hall of Fame in 2007. In 2015 Cullum appeared and sang in the satirical B&W period movie-musical footage of Daddy's Boy on Unbreakable Kimmy Schmidt. The "forgotten footage" features comically incestuous lyrics set in an innocent context that apes classic 1930's films. Cullum joined the cast of Waitress as Joe on October 12, 2017, replacing Larry Marshall. ^ "John Cullum Biography (1930-)". Filmreference.com. Retrieved 2017-06-16. ^ "Cullum biography, All Movie Guide", The New York Times, retrieved January 24, 2010. ^ Esther Zuckerman (2015-03-10). "'Unbreakable Kimmy Schmidt': Your guide to all the guest stars". Ew.com. Retrieved 2017-06-16. ^ Ryan McPhee (2017-10-05). "Tony Winner John Cullum Joins Broadway's Waitress October 12". playbill.com. Retrieved 2017-11-07. Joseph Mantello is an American actor and director best known for his work on Broadway productions of Wicked, Take Me Out and Assassins, as well as earlier in his career being one of the original Broadway cast of Angels in America. Michael Cerveris is an American actor, singer, and guitarist. He has performed in many stage musicals and plays, including several Stephen Sondheim musicals: Assassins, Sweeney Todd, Road Show, and Passion. In 2004, Cerveris won the Tony Award as Best Featured Actor in a Musical for Assassins as John Wilkes Booth. In 2015, he won his second Tony Award as Best Actor in a Musical for Fun Home as Bruce Bechdel. Victoria Clark is an American actress, musical theatre singer and director. Clark has performed in numerous Broadway musicals and in other theatre, film and television works. Her soprano voice can also be heard on innumerable cast albums and several animated films. In 2008, she released her first solo album titled Fifteen Seconds of Grace. In 2005, she won a Tony Award for Best Leading Actress in a Musical for her role in The Light in the Piazza. She also won the Drama Desk Award, Outer Critics Circle Award, and the Joseph Jefferson Award for her performances in the same show. Sherie Rene Scott is an American actress, singer, writer and producer. 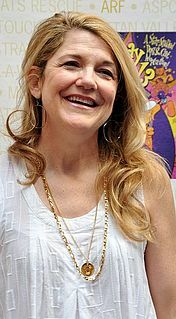 She has been seen in multiple Broadway and Off-Broadway plays and musicals, on numerous solo and original cast recordings, and in various film and television roles. Joseph Stein was an American playwright best known for writing the books for such musicals as Fiddler on the Roof and Zorba. Bartlett B. Sher is an American theatre director. He received both the 2008 Tony Award and the Drama Desk Award for his direction of the Broadway revival of South Pacific. The New York Times has described him as "one of the most original and exciting directors, not only in the American theater but also in the international world of opera". 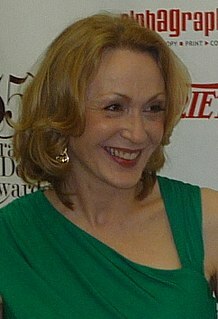 Sher has been nominated for eight Tony Awards, winning in 2008. Jerry Zaks is a German-born American stage and television director, and actor. He won the Tony Award for Best Direction of a Play and Drama Desk Award for directing The House of Blue Leaves, Lend Me a Tenor, and Six Degrees of Separation and the Tony Award for Best Direction of a Musical and Drama Desk Award for Guys and Dolls. Shenandoah is a musical that was composed during 1974 with music by Gary Geld, lyrics by Peter Udell, and book by Udell, Philip Rose, and James Lee Barrett. The musical is based on Barrett's original screenplay for the 1965 film Shenandoah. Brian d'Arcy James is an American actor and musician. Janice Elaine Maxwell was an American stage and television actress. She was a five-time Tony Award nominee and two-time Drama Desk Award winner. In a career spanning over thirty years, Maxwell was one of the most celebrated and critically acclaimed stage actresses of her time. Peter Friedman is an American stage, film, and television actor. Bruce Coughlin is an American orchestrator and musical arranger. He has won a Tony Award, a Drama Desk Award, and an Obie Award.